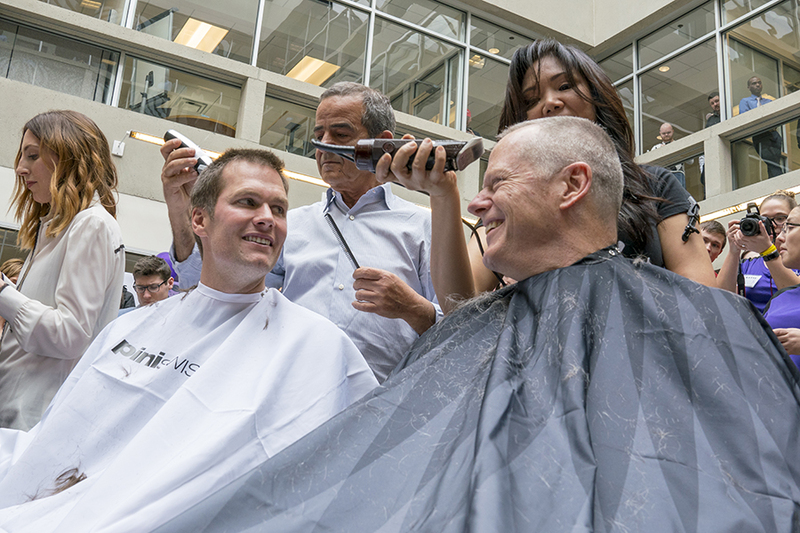 Politics can get hairy, but Charlie Baker does what he can to shave off the tension. On Thursday, Gov. 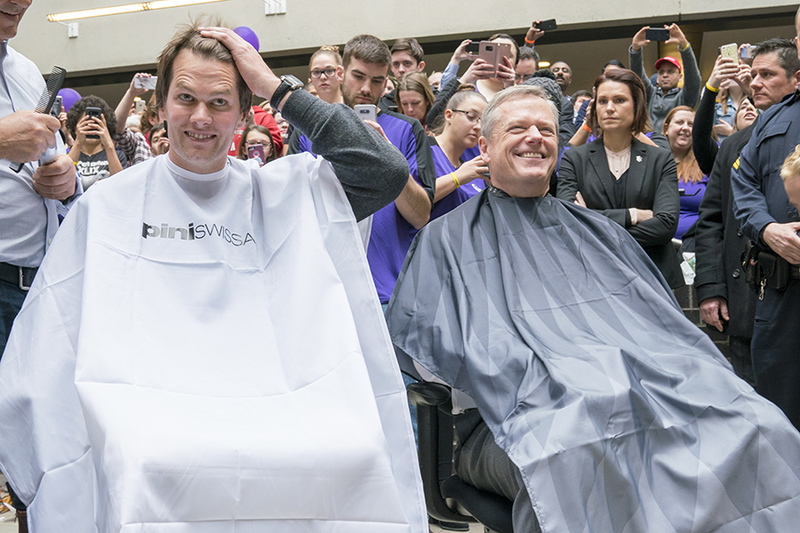 Baker, along with surprise guest Tom Brady and hundreds of others, got a buzz cut to bring awareness to cancer research and the Dana-Farber Cancer Institute. The “Saving by Shaving” event raised $5.8 million this year, according to MassLive. Since 2014, Granite Telecommunications, which puts on the event, has contributed $14.7 million to Dana-Farber. Quincy Mayor Thomas Koch and Red Sox President Sam Kennedy joined Baker and Brady in the barber’s chair, according to a press release. 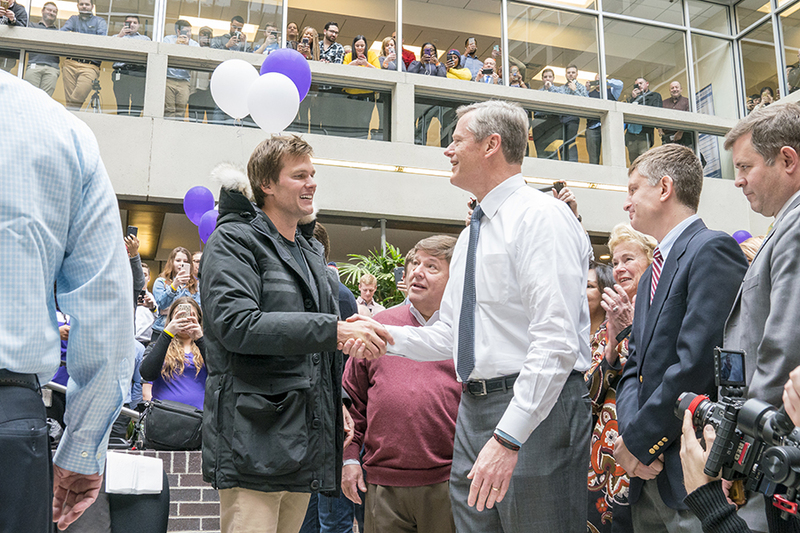 Brady arrived to a ton of fanfare at the event, since he had not been previously announced as a participant. Brady proudly shared off his new ’do on Instagram, with the caption, “They call me Buzzy… Tom Buzzy.” It’s not Touchdown Tom’s greatest caption, but we’ll give him a pass because it’s for charity, after all. They call me Buzzy… Tom Buzzy. What a fun #SavingByShaving event today. It was an honor to join the fun and support @DanaFarber and all the great work they do! Thanks for the invite @coachhale5 (Rob Hale) and thank you @piniandco for the haircut!